Kazuhiro Teranishi was born in Japan in 1979. He graduated law at the Keio University, Teranishi made his acting debut at age three and became the youngest ever CEO of a talent agency at age 24. 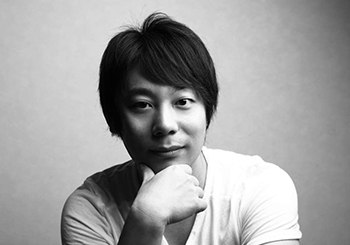 He is a polymath, and producer for a popular singer in Japan, Chiyoko Shimakura, and the editor of the magazine Men’s Book, and author of the best-selling novels “Arigatou Makiko-san”, “Cross Sense”, “Shinjuku Midnight Baby”, and “Joyuu”, as well as “Mariko” is the world’s first digitally distributed serial novel. Teranishi made his directorial debut with “Joyuu” starring Ryoko Nakano in 2012, which allowed him to walk on the red carpet at both the 15th Shanghai International Film Festival and the 25th Tokyo International Film Festival. Alongside all his other work, Teranishi also co-produces the “Tokyo Boys Collection”, one of Japan’s biggest events for music and men’s fashion and its held at the Nippon Budoukan. The film “Tokyo – The City of Glass“ and “Shinjuku Midnight Baby” were both selected as entries at the 38th and 39th Montreal World Film Festival Focus on World Cinema Program. The film “Tokyo Boys Collection episode 1” was selected by Monaco International Film Festival 2016 winning best film of the festival The Conveyed Angel Film Awards Trophy in Monaco 2016 and his short film “NAOKI~Time is Life~” was officially selected by Monaco International Film Festival 2017 receiving the honor special mention award and the best original story award. Teranishi’s latest feature film “TOKYO24” is officially selected at the Angel Film Awards – Monaco International Film Festival 2018. A 17 - year - old girl suffered from cancer but she never gives up on her dream to have a Cinderella Audition. Having an immunotherapy and the love from her boyfriend and her mother will make her dream come true..? Aoi Takiguchi is a high school girl who studying hard for the university entrance exams. Her mother, Yoshie runs a restaurant in Tokyo and Aoi is her only daughter. Haruki a pop star in the boy-band Eternal, is Aoi’s childhood friend. 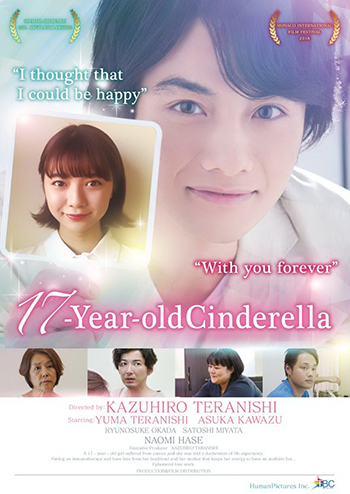 Under Haruki’s influence, Aoi longs for the world of show business and she applies to enter the Cinderella Audition for the upcoming talent starlets. One night, while studying at prep school, Aoi collapses and the diagnosis is advanced, hereditary, terminal bowel-cancer. Her mother, Yoshie, decides to try immuno-therapeutics, a front-line therapy for cancer. Aoi quits prep school to concentrate on her treatment. Her prep school teacher (SIZUKU) encourages her with the phrase “time is life.” Aoi is very impressed by this re-working of “time is money” and it spurs her to begin writing a diary telling of her thoughts for Haruki, who she loves dearly. Meanwhile, Haruki has written a song to encourage Aoi and he sings it for her at the Cinderella Audition.